A new study has found that genes linked to the biological clock are activated later in life or during extremely stressful times and may help in the fight against cancer and degenerative neurological diseases. The study, conducted by researchers at Oregon State University, found that a subset of genes known as “Late-life cyclers,” or LLCs, are part of a unique stress response system, previously unknown to science. 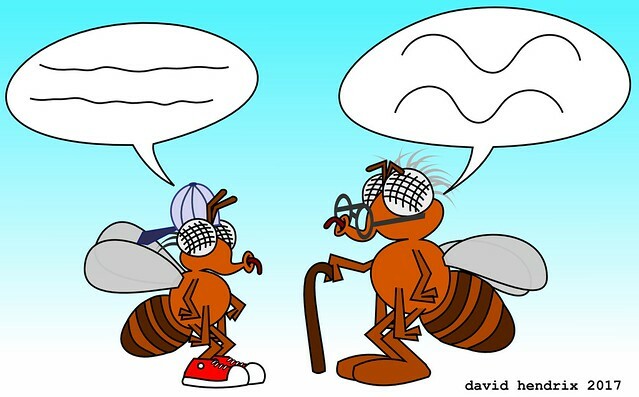 The work, published in the journal Nature Communications, used fruit flies to examine the activity of at least 25 LLCs, which become increasingly rhythmic as the body ages. These findings are another example of the importance of maintaining the status quo of the biological clock, also known as the circadian rhythm, according to scientists. This rhythm is synchronized by the light/dark cycle of the 24-hour day and is said to be so important to maintaining life that the genes in control have been traced from fruit flies to humans, staying with countless species throughout eons of evolution. Frequent disruptions of the rhythm have been linked to shorter lifespan and cancer. “Discovery of LLC genes may provide a missing link, the answer to why the disruption of circadian clocks accelerates aging symptoms,” said David Hendrix, co-senior author on the study. Scientists created artificially induced oxidative stress, which disrupts communication between cells, in young fruit flies, after which the genes became active. In humans, oxidative stress has been linked to a number of illnesses including cancer, Parkinson's and Alzheimer's disease. “This class of LLC genes appear to become active and respond to some of the stresses most common in aging, such as cellular and molecular damage, oxidative stress, or even some disease states,”said study co-author Jadwiga Giebultowicz. “Aging is associated with neural degeneration, loss of memory and other problems, which are exacerbated if clock function is experimentally disrupted. The LLC genes are part of the natural response to that, and do what they can to help protect the nervous system,” she added.